With summer here, we don't think twice about slathering sunscreen all over our kids to keep them protected from the harmful effects of sun exposure, right? In the same way, as a parent, grandparent or caregiver, it's up to you to make sure your kids' summertime cyber-experiences are positive and safe. With kids out of school, that means they will have more time to use desktops, laptops, smart phones, gaming devices and tablets. But before they sink into their summer routine using these devices, we need to be sure they are they are well-protected. 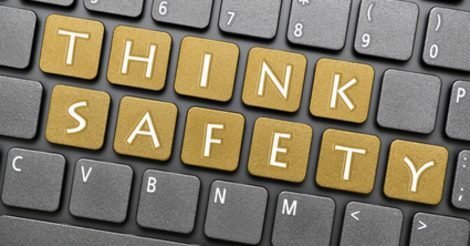 To help you, we've created a simple acronym as a guidepost with steps you can take and tactics you can implement to protect your children from online dangers. Set clear expectations and establish an ongoing dialogue. When parents talk regularly with their kids about the Internet, kids demonstrate fewer risky behaviors while online. Plan a time when you can have a conversation with your kids to discuss expectations for use of the Internet this summer and review those expectations regularly with your child. Spend time with your child online and create an atmosphere of trust. Encourage your children to make good decisions and temper your reactions if they run into danger. To ensure you and your child understand these expectations, together review and sign the Rules N' Tools youth pledge or create one of your own and paste it on the refrigerator. Understand the need for cyber-safety and implement Rules N' Tools on all Internet-enabled devices including desktops, laptops, smart phones, gaming devices and tablets. Ideally, review the Internet Safety 101SM video clips on our YouTube channel and consider using them as conversation starters with your tweens and teens. Also, we encourage you to get a copy of the Internet Safety 101SM Workbook and Resource Guide which is currently available during our inventory clearance sale price of $12.00, (retail price $29.95). Next, we recommend printing out the Rules N' Tools checklist and posting it in a place where you will see it frequently, like on the refrigerator. As the parent, take five minutes each week to review the checklist. Set up time limits on the devices that will restrict endless, all-day access. It is essential you understand how to use these features and why these features are important. Make sure you are 'friends' with your child on social networking sites or gaming sites by being added to your child's 'friends' and 'followers' lists. Make sure all of your child's social media profiles are set to private. If you are unsure whether your child has an online profile, conduct a simple online search. Also, it's likely this summer that kids will bring their mobile device to their friend's house or to events and then post pictures and videos on social networking sites like Facebook, Twitter, Snapchat and Instagram. If you're friends with your children on social networking sites, you will see what they are posting and what other kids or adults post on your child's social media profile or on YouTube. This will also help let you know if your child is being bullied online. If you suspect that is the case, we've got some helpful information in our Cyberbullying 101 section. Match online time with quality time. Kids love spending time in the digital world. But they also love spending time with you. Make sure you set technology time outs each day to spend with your kids doing something they enjoy. It doesn't need to be an all day affair, but regular quality time will deepen your relationship with your child. Additionally, make sure your kids are spending quality face time with their friends and family members and engage in outdoor play. Evolve with the Internet and Mobile Technologies. Digital technology is constantly changing and developing. In order to fully protect your kids from digital dangers, stay up to date on the latest technology and platforms your child is using. Growing Wireless has collaborated with Wireless Corporations to develop 'Parental Control Tools' to help parents effectively manage their children's wireless devices. Maintaining their assessment of plans and tools to match their children's age and family rules. Another helpful resource is Connect Safely's "A Parent's Guide to Mobile Phones". Review, research and monitor the sites your children view. Consider using accountability/monitoring software which can provide a full and complete record of where your child goes online, monitor outgoing and incoming communications, and identify a child's online friends. More robust tools lets parents see each website their children visit, view every e-mail or instant message they send and receive, and can even record every word they type. Many accountability/monitoring tools can send parents a periodic report summarizing their child's Internet usage and communications. EIE recommends that parents tell their children that such software is being used. Find information on monitoring tools here. All the information provided above and much more, including resources, can be found at InternetSafety101.org. We are here to help you better protect the children in your life. EIE Needs your support to help protect kids all year round. Won't you please consider joining our efforts today by making a donation?